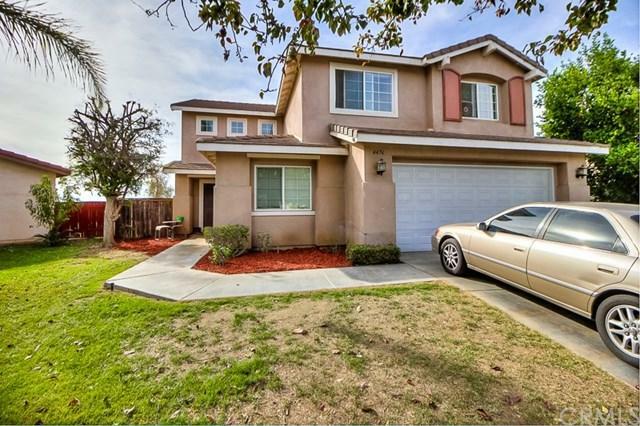 You+GGll love this stunning 2-story home located in the most sought-after Loring Ranch community in Jurupa Valley. This 5-bedroom, 3-bathroom home has a 2-car garage and a 2,784 sq. ft. of living space. Imagine opening the door to a high-ceiling entry way and a open floor plan modern home. Downstairs includes a bedroom with a full bath, a formal dining room, a wide, open hallway leading to the kitchen with an island and a spacious living room with cozy fireplace. Upstairs include a loft and 4 bedrooms, and 2 full bathrooms. Laundry room is tucked in a quiet room. A combination of tile and carpet flooring throughout the entire house. Big backyard and beautiful landscaping. Recessed lights throughout the house, ceiling fans, appliances, professionally painted walls. Amenities Galore. Close to freeways, shopping centers, schools and multiple newer parks. Walking distance to a recreational sports park. Near Mount Rubidoux Sports & Recreation & Fairmount Park in Riverside. Close to 60 fwy, 215 and 91 fwy. Near 10 & 15 fwy.